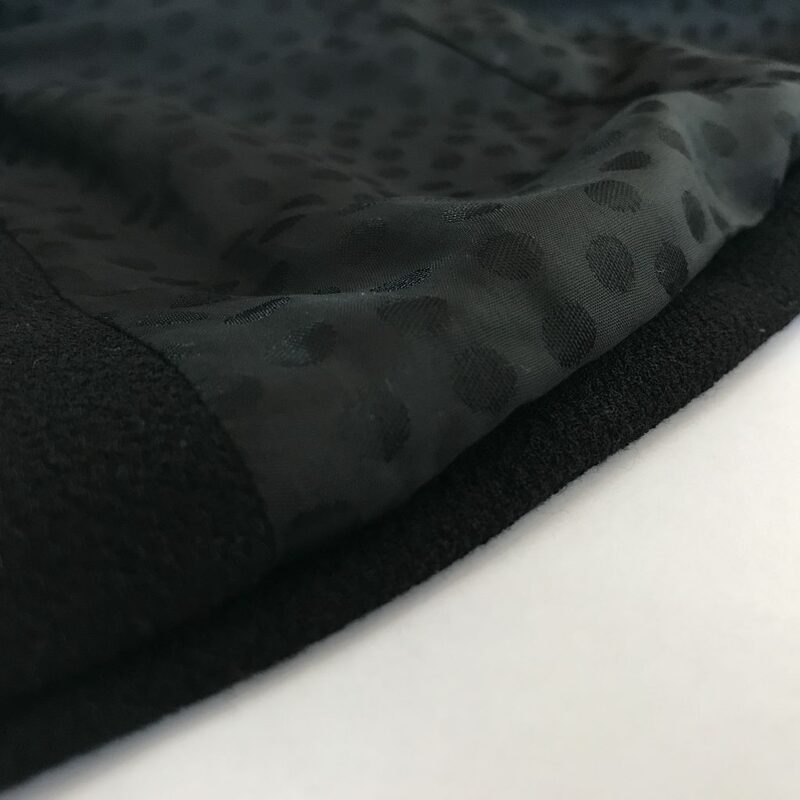 We’ve had a few emails asking for more (also, clearer) photos for Step 23 in our Oslo Coat instructions. 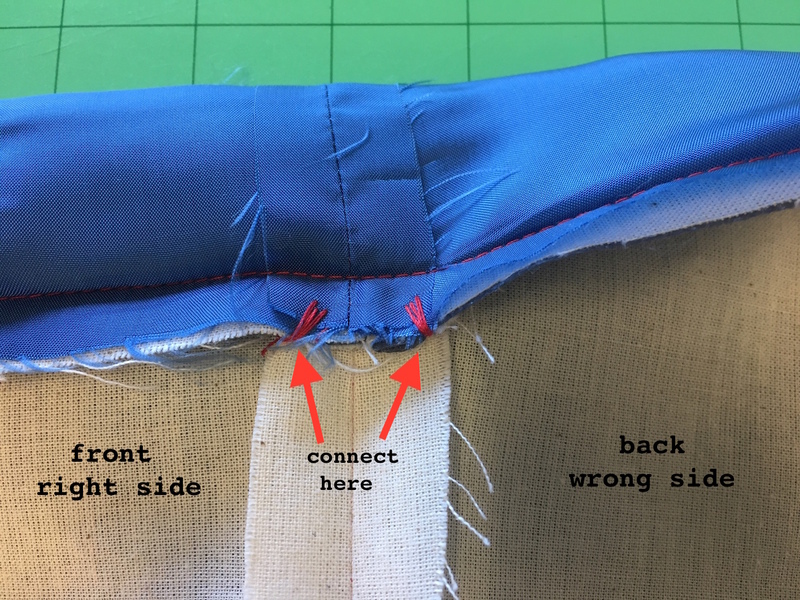 This step details where you need to connect the hem of the coat and secure it in place to the coat seams. 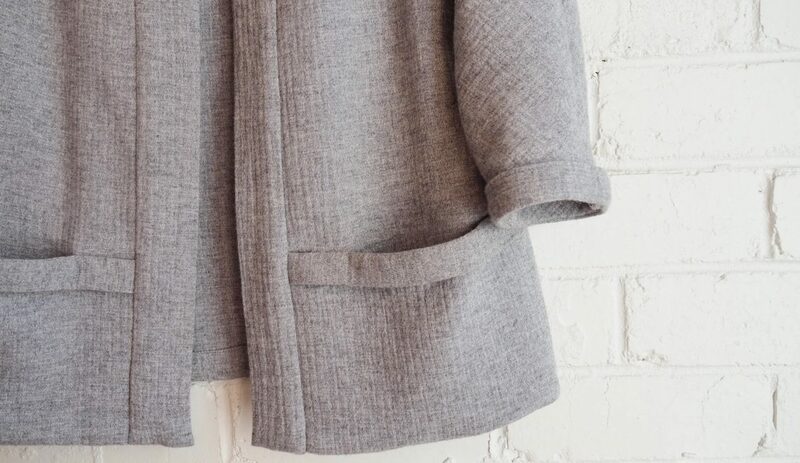 And it’s a really important step if you want to give your coat an even and professional looking hem finish. 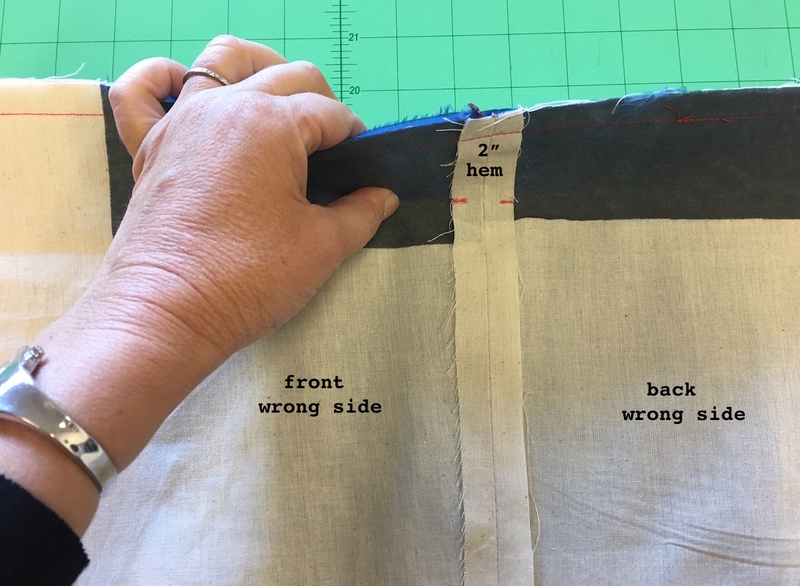 If you’ve never made a fully lined coat or jacket before, this part can be a little tricky so if you’re sewing (or plan on sewing) our Oslo Coat, read on! 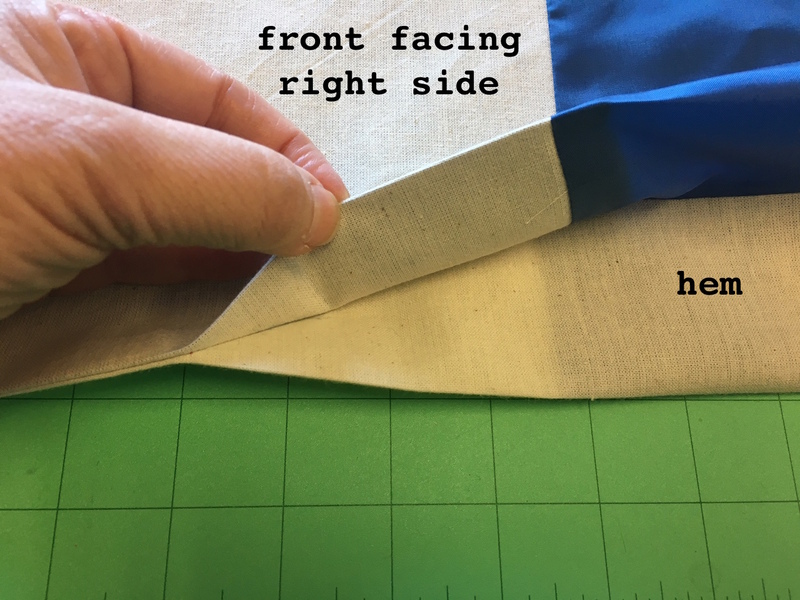 Step 23 – Catch hems and facing edges together: Before bagging coat out to the right side, turn back coat hem 2″ up (at red notches) towards coat side, connecting hems to the corresponding seam allowance points. 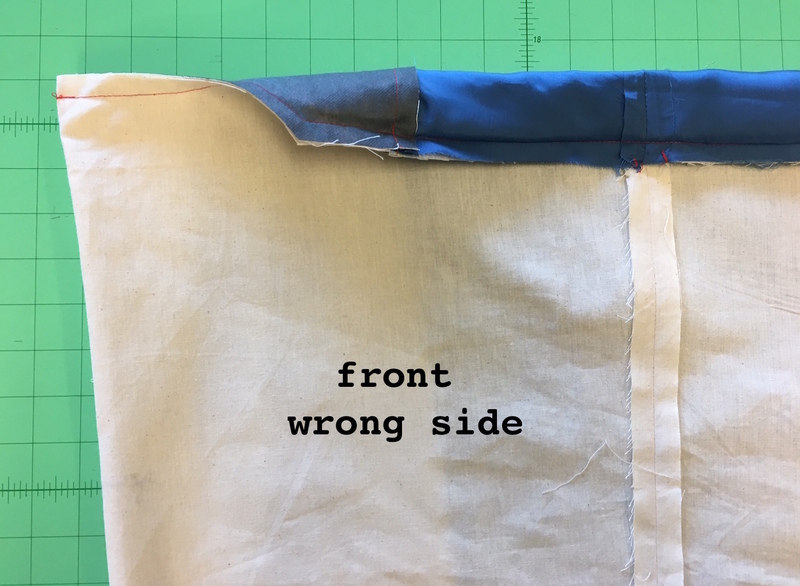 Baste stitch hem edge to the open side seam allowance. 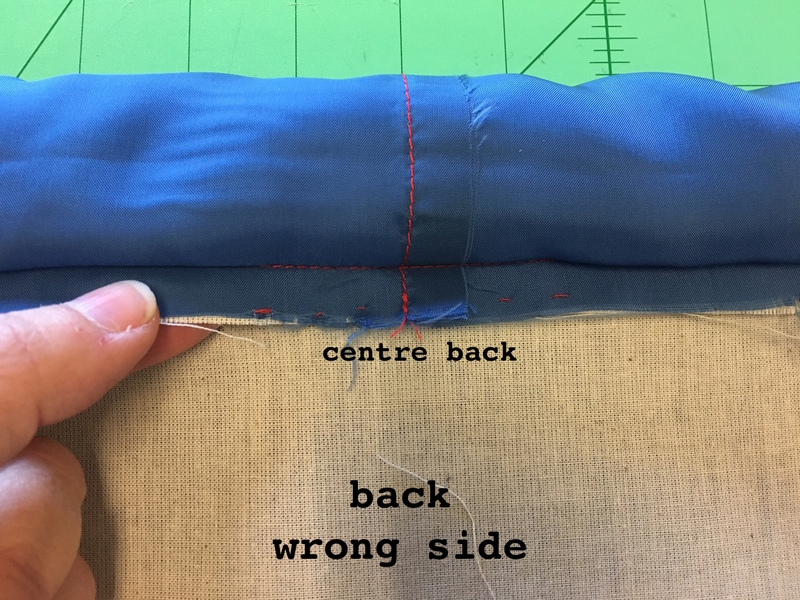 As there is no seam allowance at centre back of coat, we recommend to catch centre back lining edge (like a blind hem) to centre back with just a few baste stitches to the coating. 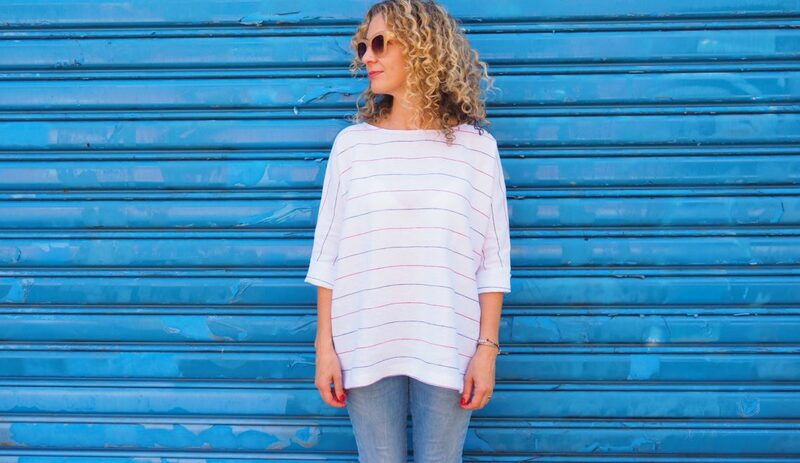 Repeat this process for sleeve hems. 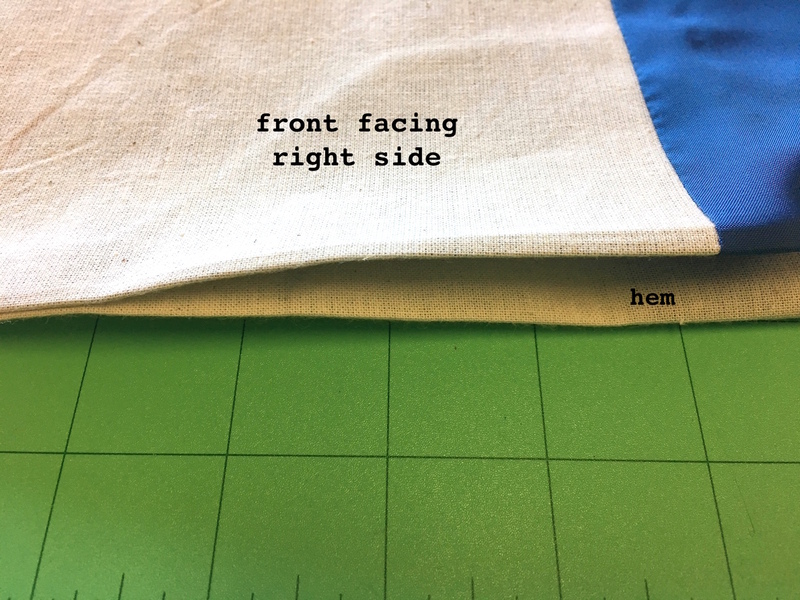 A note also about the pleat left at the lower front facing (in Step 24) where it connects to the front lining and hem. 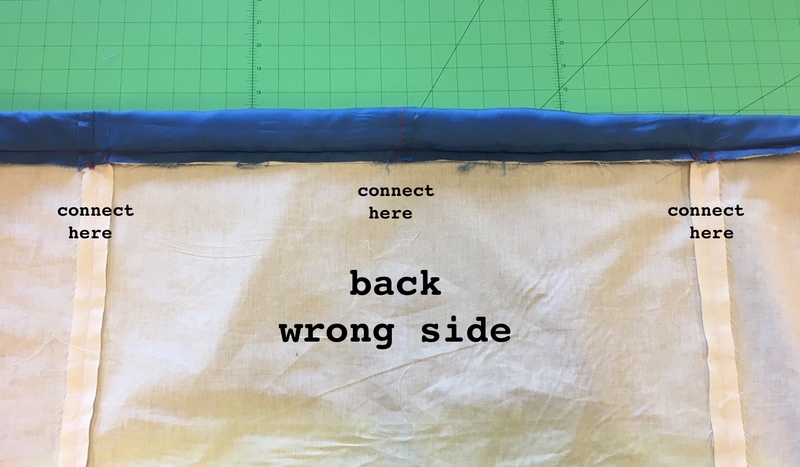 Do NOT stitch this together. 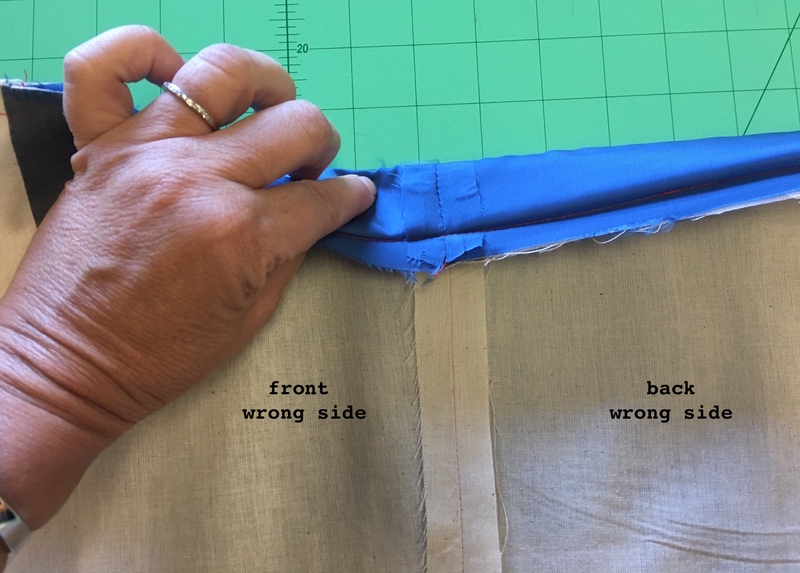 For flexibilty of movement, it needs to be kept as an open pleat and this way there isn’t a strain on the front of coat. You’re done! 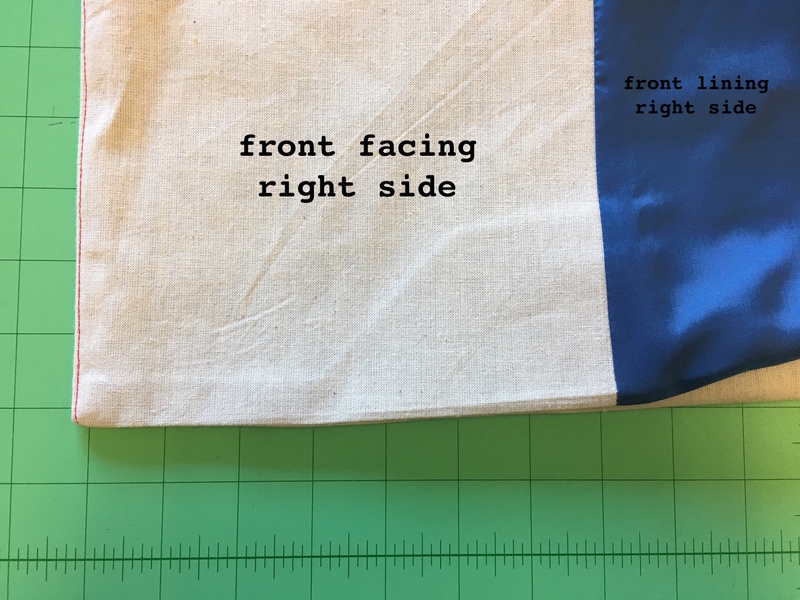 Hope that helps and if you have any further questions, feel free to email us fabrics@tessuti.com. I’m having the same issue! 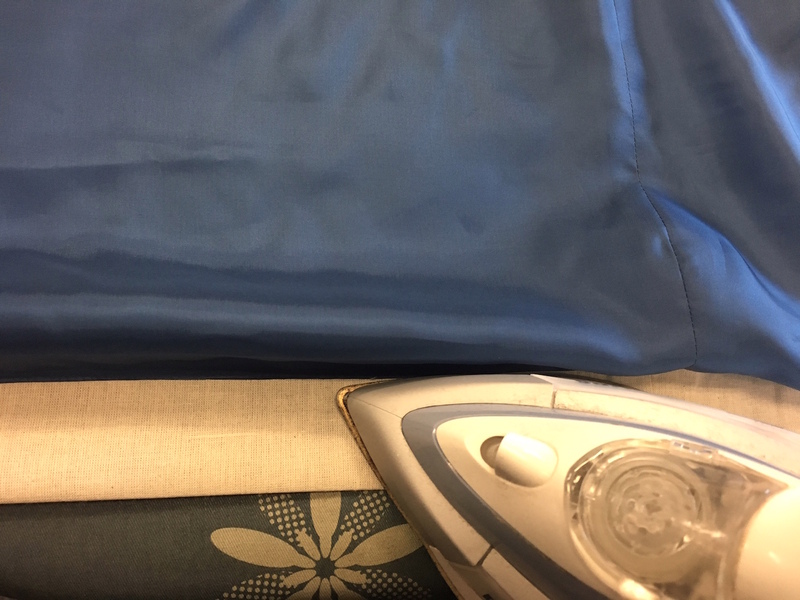 I would love some help with this step(step 20). I’m stuck!